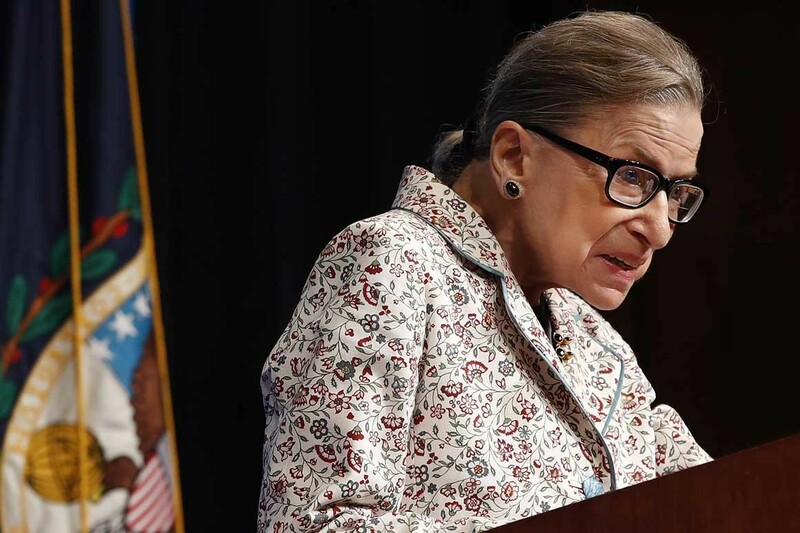 Supreme Court Justice Ruth Bader Ginsburd underwent surgery at Memorial Sloan Kettering and two cancer nodules were removed from a lobe of her her lung. No other details are known at this time. Given that Justice Ginsburg is not apparently a smoker, this falls into a different category of lung cancer right away. With smokers, the variety is usually non-small-cell squamous cell cancers. With non-smokers, they are usually adenocarcinoma. However, newer genetic profiling of tumors has changed the game. Whether the tumor has mutations at the EGFR, KRAS, MET, LKB1, BRAF, PIK3CA, ALK, RET, or ROS1 genes determines the drugs to be used to fight the cancer. We have none of those answers for Justice Ginsburg yet. Scans of Ginsburg supposedly showed no metastasis. If true, then she could live for many years. This entry was posted in - Opinion, Cardiac surgery, Memorial Sloan-Kettering, Oncology. Bookmark the permalink.